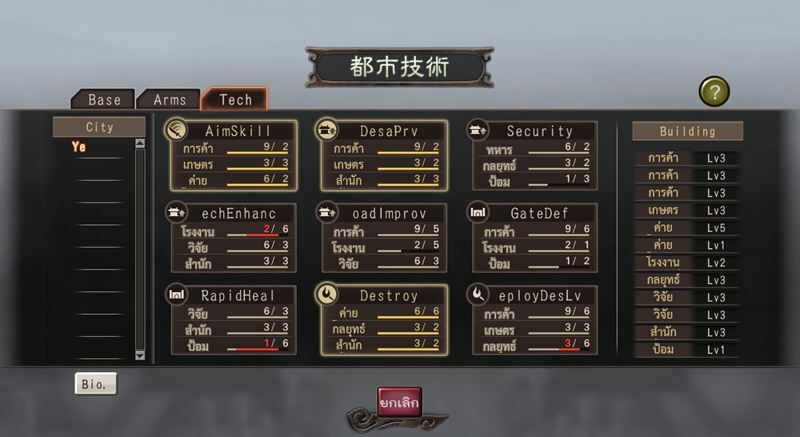 โหลด San12tool มาหรือยังครับ อยู่ในหน้า "วิธีใช้ San12Tool"
I have a question: how to change tactics in battle from Chinese to other language? which tool or others? Can you have a guide about that? 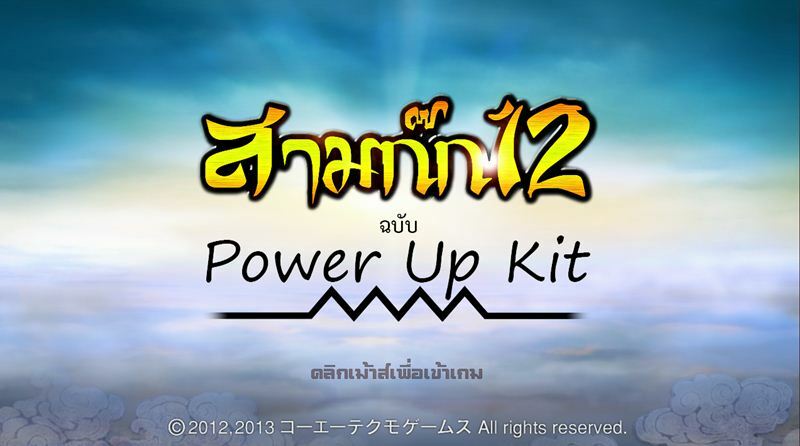 After install "San12-Samkok911" patch , You have to use "San12tool" import pictures files from "English Picture Patch from GameVN". Thank your response, but I already import all pictures above. 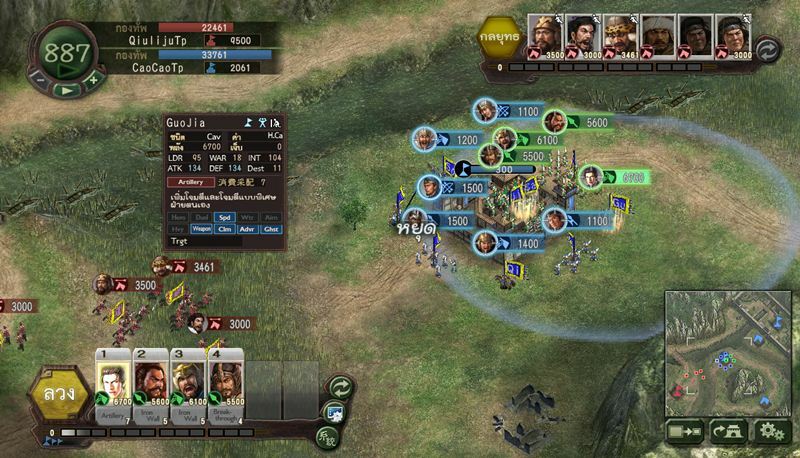 it's still Chinese, I mean tactics in BATTLE as Inc Attack, or Cav Attack, Haste... and effect of those. I already change information in Scenario0.dat to English. Tactics you want was in "resfiles_05-3-1". Thank you, I already import resfiles_05-3-1 to resfiles_05pk bin but still Chinese. The picture(resfiles_05-3-1)already have tactics at left side. I want to change (1) and (2) to english. If you don't have patch now, can you teach me how to do? Ok, I see. If you want to patch them you have to use "San12tool" for export BMP files. You have to patch them by using Photoshop or GIMP, The texts was hidden in Alpha Channel. So sorry, i want to ask a question? I start a new game and i want to add new officer. 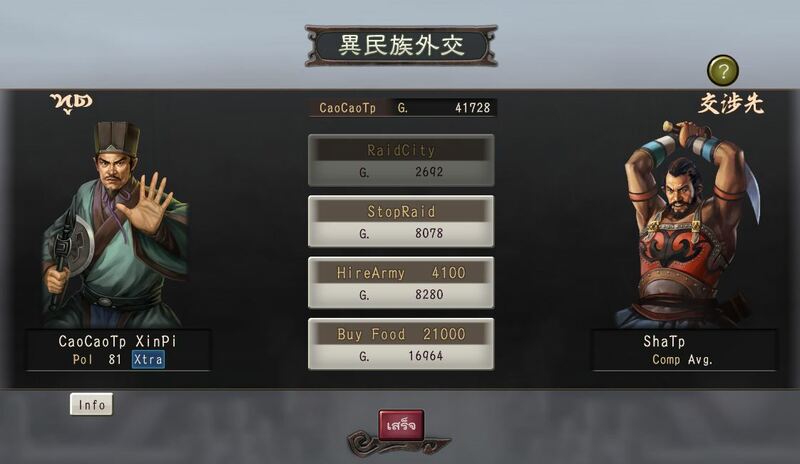 Also, i đin't see BAi Qi and Ying Zhen ( i had collect 580/580 officer and 30/30 plans). But, all most officer like Lu Shang or Han Xin, Ying Bu still can see. Can you help me? 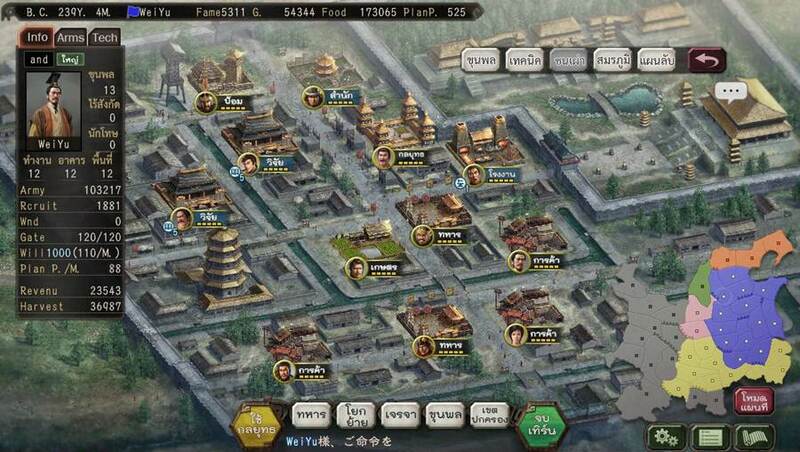 Have you tried to play "Warring State Scenario". When you finished this scenario you will get many of ancient officers. ผมลองลงภาษาไทยเรียบร้อยแล้วครับ ทุกอย่างโอเค ติดอยู่ตรง รูป "ส่งขุนพลไปฝึก" อันนี้มันอยู่ในไฟล์ไหนครับ หาไม่เจอเลย!? I'm not sure about your problem but you can try this. 1. You must have "San12PK" not "San12". 2. 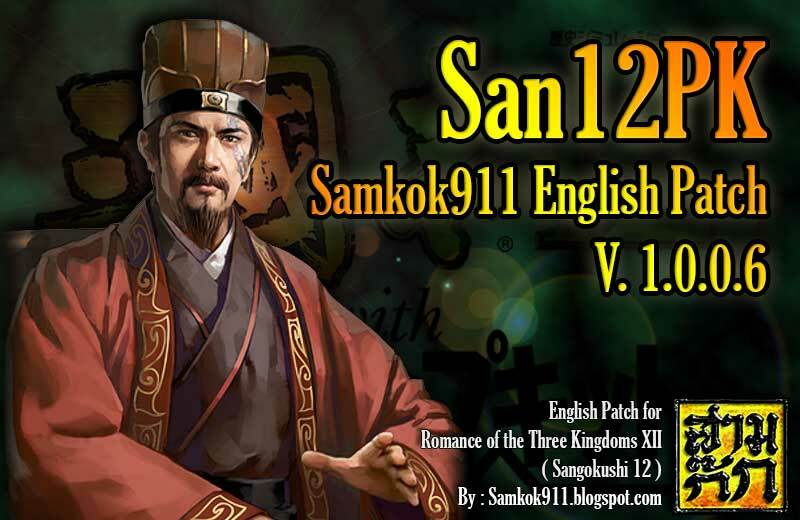 If you already had "San12PK" and installed "San12PK Samkok911 English Patch V.1.0.0.6" you have to start your game with "San12PK-Samkok911.exe"
"We're sorry. You can't access this item because it is in violation of our Terms of Service."